It's something we've all thought about -- the zombie apocalypse. Hordes of undead, clawing their way out of the ground, looking for some savory brains to snack on. 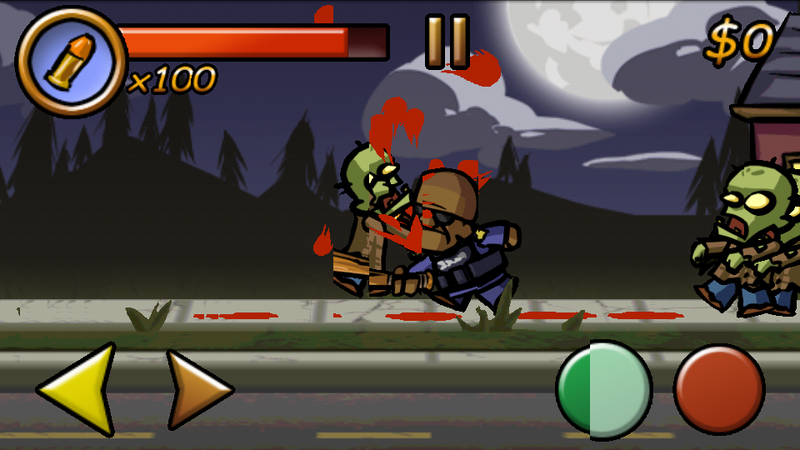 There's been many a game about it, and Zombieville USA looks to continue that proud lineage of "don't let zombies eat you" games on Android. 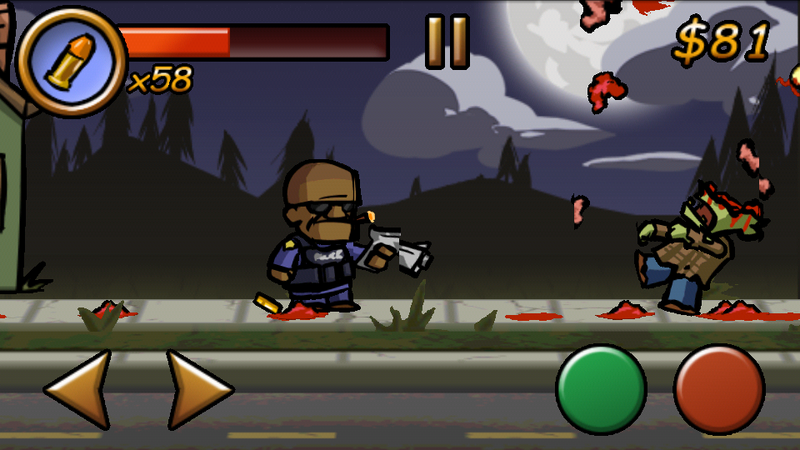 The gameplay is simple enough: avoid zombies and use either melee attacks or firearms to remove them from your path. Each kill (but how can you kill that which is already dead?) 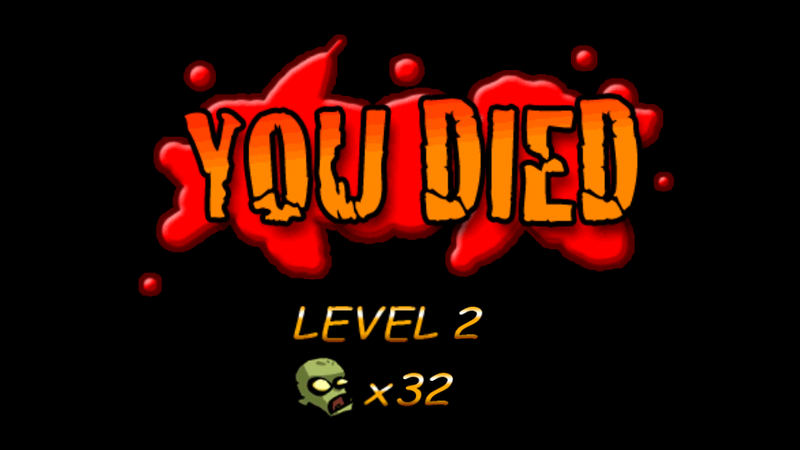 earns you a couple of bucks to use on health, guns, or melee weapons once you've cleared a level. There's also houses to loot (yes, loot) along the way. Simply tap on a door and your character will hop into a house and you'll be either rewarded with ammunition or cash. The houses serve a dual (and awesome) purpose, though. 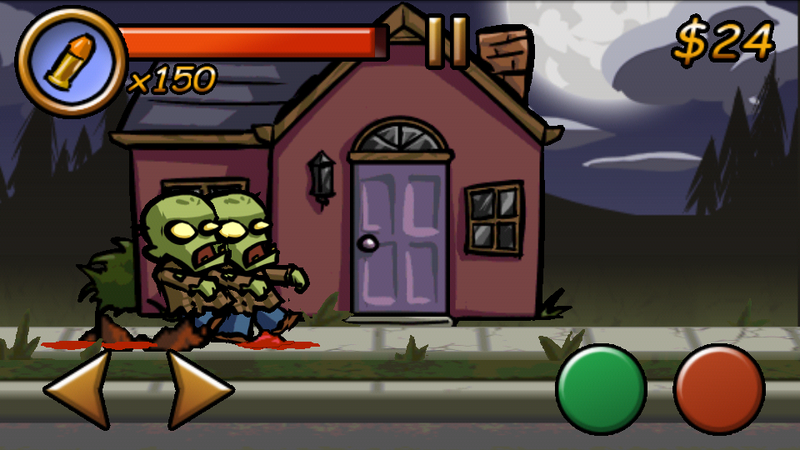 Not only are you rewarded by going into a house, you're also off the streets, meaning zombies just walk on by. It's a great strategic tool to help you plan an ambush or get out of the line of fire eating. 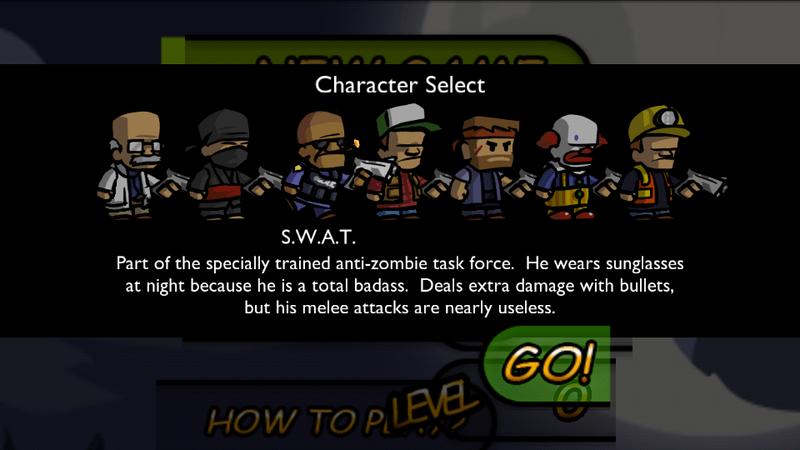 There's also seven different characters for you to choose from, which gives you a little wiggle room depending on your play style. 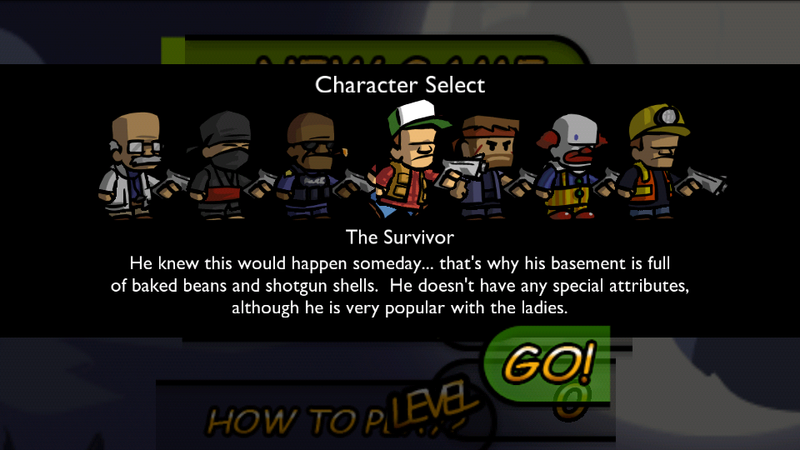 There's guys like the survivor, who is your run-of-the-mill zombie slaying guy. He planned ahead but doesn't have any special powers. There's also a SWAT team member, a ninja, and a doctor, to name a few. All of them have different strengths and weaknesses. 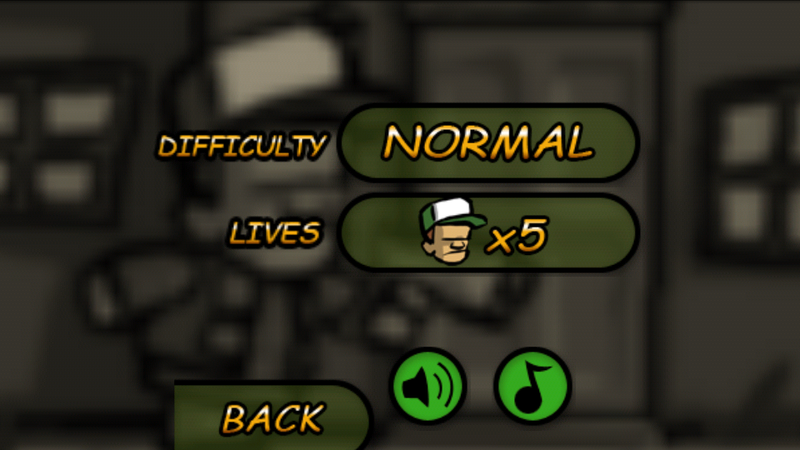 Zombieville USA is a pretty hilarious game with a kickin' soundtrack, to boot. 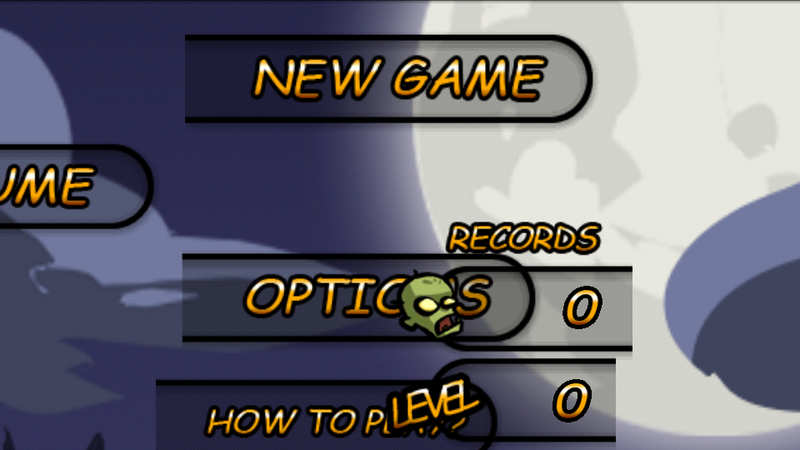 It runs well, and despite the title screen being totally messed up on my EVO 3D, the game itself fills out the screen correctly once you've started playing. 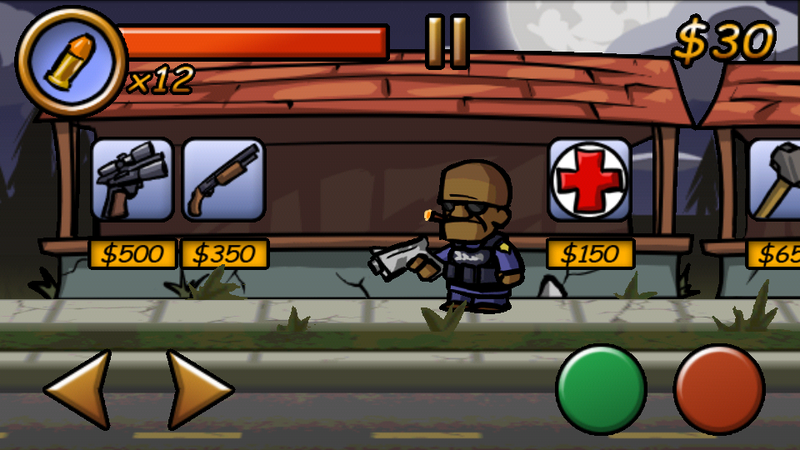 Zombieville USA is $1.99 in the Android Market if you're looking to put some zombies back in their place (which is in the ground, duh). Download links and more screenshots are after the break.